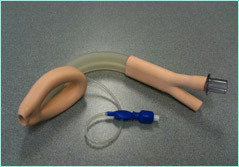 Lenard Tool & Machine, Inc. (LTM) was approached by a physician and molder to develop the reusable silicone airway assembly highlighted here. The airway assembly design was derived through reverse engineering; this also allowed the assembly to be reduced to five simple modeled parts. Once the product development was completed, LTM began design of the five molds, which included modeling, selection of fabrication processes, and the production of prototypes for product qualification. The resulting liquid injection book molds were created utilizing CNC milling and turning, surface grinding, and bead blasting, on pre-hardened 420-stainless steel. It featured cuff wall thickness was 0.030," and tolerances were kept at ±0.001." The final produced design was validated for proper operation and geometry. With a speedy turnaround of only four months, LTM delivered a cost effective solution for this mass produced molded product, and was retained by the customer for future design modeling and mold production. Lenard Tool and Machine demonstrated an unsurpassed ability to serve the customer's unique needs and keep them integrated into every step. Efficiency, innovative design, high performance and a customer centric culture are the key advantages Lenard Tool and Machine delivers every day. Contact LTM directly to learn more. 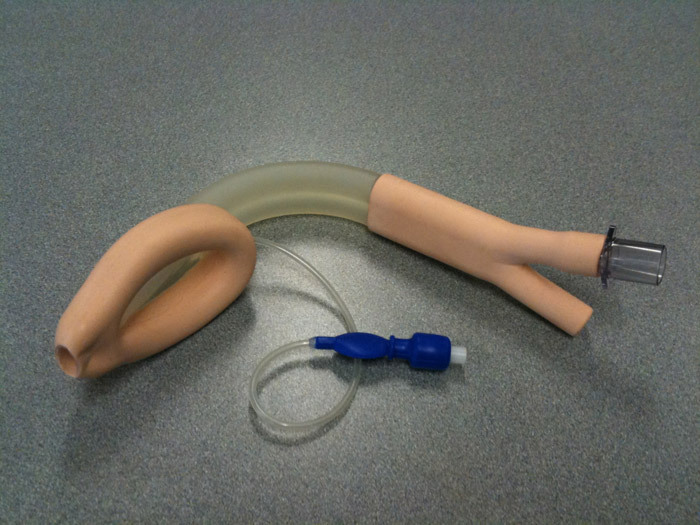 Lenard Tool worked with a doctor & molder to create product models, 2D drawings, tool designs, and tools to mold silicone parts that would then be glued together to create a re-useable silicone airway assembly. CAD & CAM software, CNC milling, CNC turning, surface grinding, bead blasting.